Biography of the Dollar explains how the world’s most important currency fueled our economic growth — and why the dollar’s privileged status is eroding. Meet the swaggering currency traders, foreign government officials and American power brokers who will determine the dollar’s fate, and with it, a degree of America’s prosperity. With its watermark, color-shifting inks, and a presidential portrait that glows under ultraviolet light, the dollar has obsessed foreign governments, some of which have tried tocounterfeit it. Even Saddam Hussein, who insisted on being paid in euros for oil, had $750,000 in hundred-dollar bills when captured. Yet if a worldwide currency has enabled a global economy to flourish, it’s also allowed the United States to owe unbelievable, shocking amounts of money that’s raised concerns that the dollar standard may not be sustainable. Craig Karmin has been a reporter with The Wall Street Journal’s Money & Investing section since 1999, where he has covered the foreign stock markets, the currency market and institutional investors, like pension funds and endowments. Mr. Karmin, who received his BA and Masters degrees from the University of California, Berkeley, previously worked for the Dow Jones Newswires in New York, The Hill newspaper in Washington DC. and as a freelance writer in Prague. 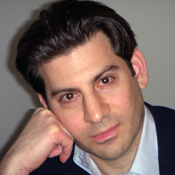 His work has also appeared in Barron’s, Newsweek International and The New Republic. He lives in New York City with his wife and daughter. It’s hard to imagine a more entertaining book on such a vital subject. Remarkable historical, political, and economic examination of the dollar. ...Despite the complexity of the global currency market, Karmin (reporter, “Money and Investing” section, Wall Street Journal ) skillfully explains its inner workings and identifies the top players and monetary strategies. 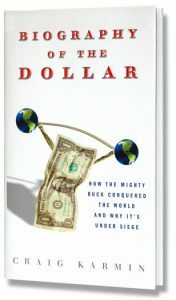 This remarkable historical, political, and economic examination of the dollar raises many concerns for all stakeholders in America’s future. Karmin skillfully explains [the dollar’s] inner workings. Full of firsthand reporting, deftly woven together... jolly entertaining.